East center street with view of Logan Temple. Labeled "Cardon, 41 Main St. Logan. Utah." Center street. Logan, Utah. 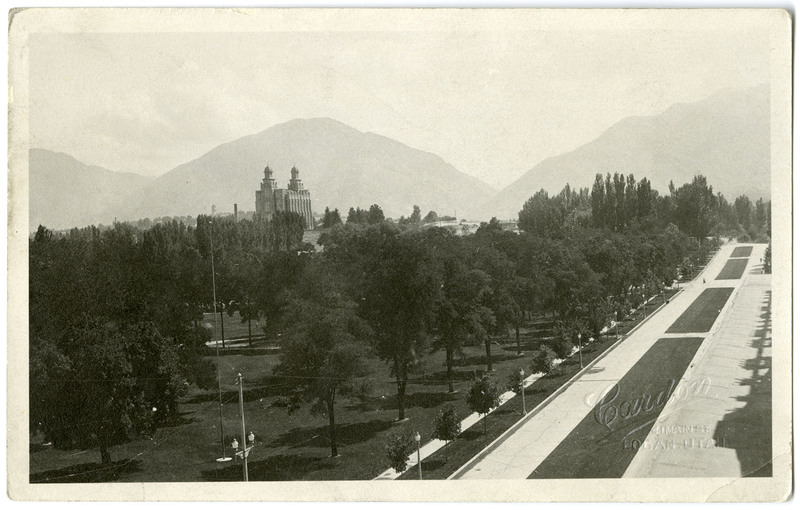 Cardon Photography, “East center street with view of Logan Temple (1 of 2),” USU Digital Exhibits, accessed April 20, 2019, http://exhibits.lib.usu.edu/items/show/19695.